MoonProject – Black Friday: Well Done Britain, You Fell For It! 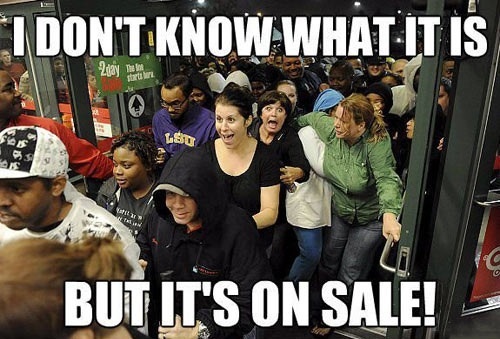 You are here: Home » Current Affairs » Black Friday: Well Done Britain, You Fell For It! Black Friday: Well Done Britain, You Fell For It! Black Friday marks a time where the American masses seem to be blind folded and sent out from their homes and herded into shops at obscene hours of the day to spend cash they have or may not have in preparation for the coming season. Ironic that the previous day Americans feast and be thankful for what they have…. Black Friday is the darkness that fuels the light of the Christmas spirit of consumerism.This pseudo-holiday is used to lure in customers with “deals” that seem unique or hard to come by. This is a day where chaos ensues all over the country. Why? Because some items in shops are a pound cheaper than the day before. This year the UK has decided to adopt this tradition. There seems to be sales on everywhere. Every shop is trying to sell mounds and mounds of cut-price shite to zombied shoppers. Corporations are ploughing millions of pounds into advertisements that try and convince us that a ‘£5000 TV is what will make your family happy this Christmas, and with £50 off this Friday only!’, how ridiculous. Shoppers are wrestling over televisions in Asda. In Victoria Secrets, London girls are pulling on each others hair trying to grab the last bra… a site most people would usually want to see, but not today. Britain has gone mad, and it is embarrassing. 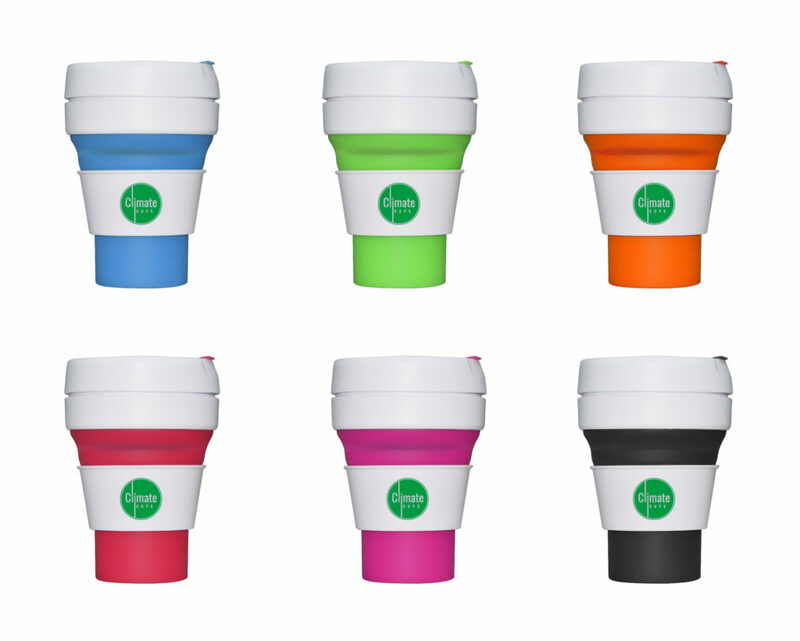 Consumers (rather that ‘customers’) fall victim to their own blind purchasing power. Can’t you see how stupid you look? Statistics show that the time leading up to Christmas causes more stress than any other time of the year. A time where we are meant be at home with our families enjoying and celebrating has now turned into a money making scheme where companies will try and squeeze every last penny out of you, and if they don’t you are made to feel guilty. No your child does NOT need the latest Xbox game or Frozen DVD just because they saw an advert. I’m sure what is best is that their parents have a stress free, debt free Christmas and NOT for them to be caught up in an embarrassing Primark brawl. 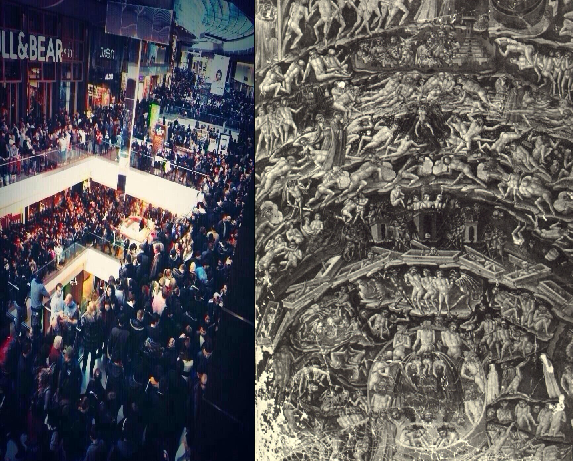 Westfield Shopping Centre London and Dante’s Inferno, can you spot the difference?